I have decided to add a few weekly photos into today’s round up, so we have the August Break prompts and some randoms from the week. 4. Orange. 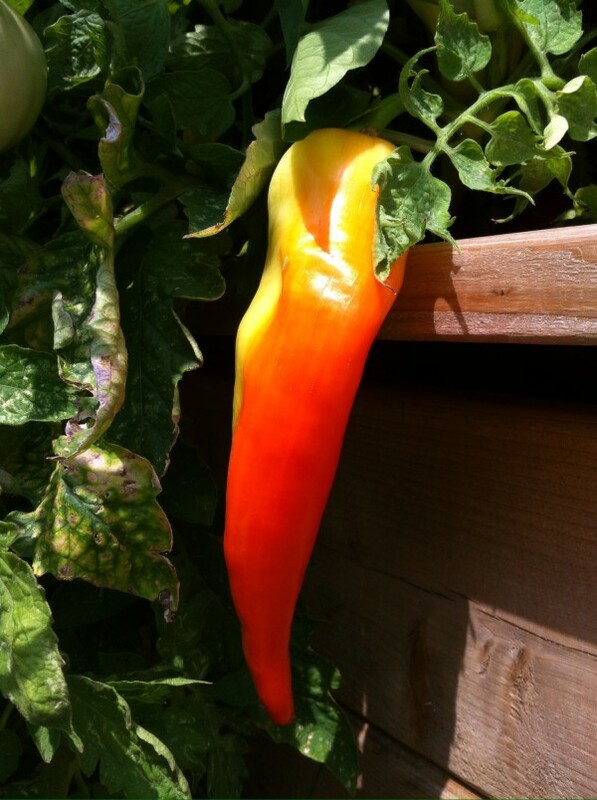 A glowing orange pepper. 7. 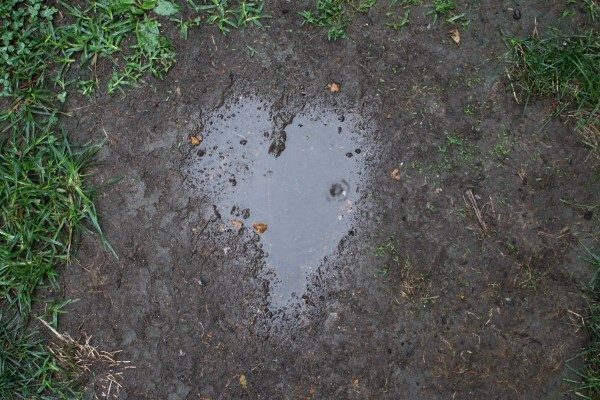 Today is… raining and produced a heart shaped puddle! 10. Drink. Mint, Lavender and Lemon tea, brewing in the sun. Last week we enjoyed the cooler weather, could Autumn be on the way?! I spotted a bright door, we played dominoes, the sunflower is so yellow it almost glows in the dark and we found lost treasures in the creek. I wonder who this watch belonged to? I hope you had a good week and that you are looking forward to the week ahead. We are back to school this week, so we are having a love/hate relationship with that as we gather notebooks and pencils together and remember locker combinations. I didn’t realize so many went back to school so early. My kids dont start till after Labor Day. I remember when we came to Cape Cod last year, the kids didn’t break up until we had left! That mitten has been my phone case for years now. Next PostCar-less or One Car Less? Life with Fewer Wheels.